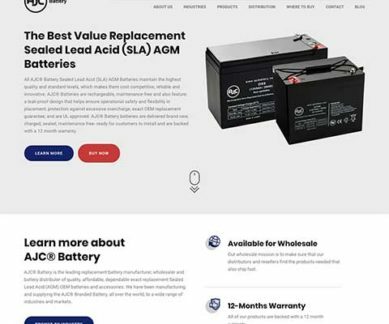 Leading replacement Battery Manufacturer, AJC® Battery needed an upgrade for their outdated and underperforming website. Updating the visuals was only part of their needs. Being able to integrate their products with their e-commerce store was valued as was the need to increase overall visibility and sales. With the website refresh, we’ve already seen an uptick in referrals and direct sales and anticipate this continuing in the coming months.